Share Our Passion… Discover Your Journey! 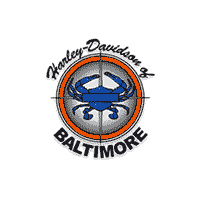 Why Purchase from Harley-Davidson of Baltimore? Convenience – Close to home, Harley-Davidson of Baltimore provides a wealth of knowledge regarding Harley® motorcycles, as well as on-site inventory for you to test ride prior to making your purchase. Relationships – We are your local authorized Harley-Davidson® dealer. A purchase from us means a neighborly dealer relationship you can rely on for good advice and prompt, friendly service. Service after the Sale – We put our purchasing customers first when it comes to getting service for your ride. You’ll love the value this customer-first treatment adds to your purchase. Local Economy – Local purchases help to support Baltimore, by keeping tax dollars and people at work in our community.